What Is A Cleansing Ritual ? Cleansing rituals are there to clear your mind & body from negative energies...Its a process that has existed for years and years. commands (cleanse me from negative energy etc...) and push the smoke around you. This does not have to be a person (yourself) it can be lots of people or even an object or a house (anything). Another cleansing ritual which is more for those religious cleansers is....Say a series of prayers and after cleanse with sage (same as above) and end with bathing in salt water. minds and with paridollia methodology they experience a change. Often cleansers will say i can feel the change so with paridollia (i.e.. random creating information) and forced intuition they will feel it. Once things have settled and normal life is back on track....they notice things happening again - it seems to be a cycle. I do not offer cleansing because i have never seen a case well over 20 cleanses where it does actually work permanently. activity your experiencing so a cleanse wont stop anything other than give false hope. You have to change the things in your life what create a negative vibration in your house and your life. People will say but I've done cleanses but i know its worked - You conducted a cleanse and it stopped but is that due to the cleansing or the information provided to the person which they acted upon? - It goes down to their Belief system if they think the process of a ritual works then in their mind it has been lifted. 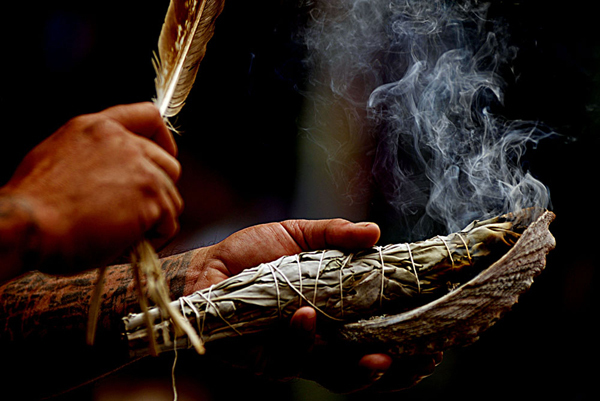 Burning sage will not make a "Ghost" disappear - its a belief not fact....until proven other wise Saying cleanse me from negative energy will not make a ghost disappear - again its a belief not fact. using a feather - again nothing. Has a little child who has night terrors over other parent leaving and his sibling and parent always fighting. The parent brain washes the children in thinking everything in the house is a demon and we must sleep in a ring of salt. With that example things in the house start to happen so the parent decides to call in a paranormal team to find out whats going on and to get rid of this "demon". But there was no change ever made and things only got worse for them all and everything is the same. People can only be helped if they want it personally and paranormal wise. Often they watch something on TV and expect it as facts but the truth is a cleanse will not solve your lifes problems and that is the only thing that needs changing to stop the experiences. During an investigation (residential cases) when trying to discover what it is and how it was created i am forceful with getting them to leave, but it can only be changed if people are willing to make that step. More cases than not people will take on board any advice and its those people who are no longer experiences anything considered paranormal. Cleansing and rituals changing motion theory for the citizens and for the individuals.t he prospects and all elements. The visits of http://payforessaysonline.blogspot.com/2014/02/pay-for-essays.html are done and set for the further. The prospects are done for the approved and for the following. the selection is made possible for the vital and pivotal. I want to know more about these rituals. It's pretty cool to read such posts here. You can also share them http://www.easyessayhelp.info/ here. Its giving the better and effective details. Love this blog. All types blogs and https://www.uhjackets.com/movie-jackets posts are not helpful for the readers. Here the author is giving good thoughts and suggestions to each and every reader through this article. Where did you get such information? Because I looked over all internet, and your post is the only thing I found. Hit me up www.superiorpaperservice.com here.